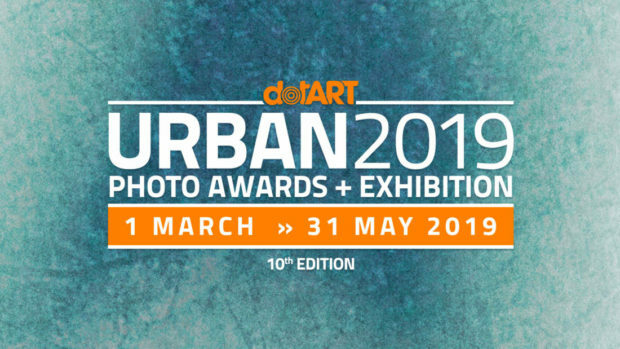 On Friday, March 1st, 2019 submissions will be open for URBAN Photo Awards tenth edition, international contest organized by Italian cultural association dotART together with media partner Photographers.it. More than € 7,000 in prize value: € 1,500 for the Winner Overall chosen by the President of the Jury Martin Parr, € 1,000 for the first portfolio, € 500 for the Best Author, one Winners’ Exhibition at Trieste Photo Days 2019 festival, a lot of prizes offered by the contest’s partners, publication on photo magazines and on the fifth volume of URBAN unveils the City and its secrets. Several new features compared to past editions: four new Thematic Areas within which it will be possible to assign categories to the photos, no limits to the number of submitted photos, a brand new User Area from which to upload and manage the photos, an Early Bird promotion for the competitors registered by March 31st, new ranking and new prizes, including the Winner’s gala dinner at Trieste Photo Days with Martin Parr, Nick Turpin and festival’s guests. As usual, URBAN 2019 is divided into two sections dedicated to Urban Photography, a theme that explores the contemporary through all forms of photography based in the urban fabric. The common denominator is the City, the urban environment and humanity that populates it. The first section is “Single Photos”, with 4 thematic areas: Streets, People, Spaces, Creative. The second section is “Projects & Portfolios” where each participant can submit a series of images oriented to show his or her idea through photographs. To apply for photos and projects just register in the User Area and follow the procedure on the form. Works must be submitted no later than May 31st, 2019 and will be selected by a prestigious Jury chaired by Martin Parr, British street photographer and member of the prestigious Magnum Photos agency. As president of the jury, Martin Parr will be guest of honor at the sixth edition of Trieste Photo Days where he will personally choose the Winner Overall of URBAN 2019 and will reward him during the awards ceremony of the contest on Saturday, October 26 2019. In addition, Martin Parr will host a not to be missed conference during Trieste Photo Days. Among confirmed jurors so far British street photographer Nick Turpin (also guest at Trieste Photo Days), Agata Stoinska (founder of BLOW Photo), Graziano Perotti (Italian photojournalist), Angelo Cucchetto (Trieste Photo Days art director) and Fulvio Merlak (Italian photographer and critic). More jurors will be announced shortly. Other than regular prizes, URBAN gives the chance to the best ranked photographers to enter its tour of travelling photo exhibitions, the real and tangible value of this contest. Since 2011 URBAN has setup exhibitions in Poland (Krakow, Łódź, Warsaw, Raciborz and Gliwice), Hungary (Budapest, Pécs and Miskolc), Germany (Berlin and Hamburg), Serbia (Beograd), Austria (Klagenfurt), Cyprus (Limassol, Paphos and Nicosia), Latvia (Riga), Croatia (Poreč and Rijeka), Slovenia (Koper), Ukraine (Sumy), Colombia (Bucaramanga) and Italy (Milan, Venice, Trieste and Rome).